Travelling around the top end of Australia, would you be able to tell the difference between a poisonous cane toad and a bumpy rocket frog or a giant frog? - They look similar but sound quite different. A new mobile app developed by The University of Western Australia aims to help save those native frogs that so often become the victim of mistaken identity. Pictures, sounds and information on what to look for in different species of frogs and toads are included in the app originally developed by UWA's SPICE enrichment program for secondary science teachers, in partnership with The Department of Environment and Conservation (DEC). 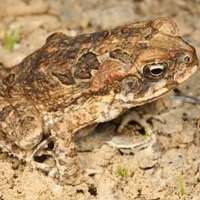 The cane toad app also aims to take the guesswork out of identifying invasive cane toads in an effort to prevent the species from spreading further across Western Australia. At the launch of the cane toad app today WA Environment Minister Albert Jacob described it as an easily accessible resource for students, travellers to northern WA, truck drivers and the community. "Cane toads are prevalent in the east Kimberley and despite the ongoing efforts of community groups and the State Government, they are continuing to move west," Mr Jacob said. "There is a lot of community support for reducing the spread of cane toads and their impact on native species, and this simple mobile device app can provide people with useful information." Associate Professor in Science Communication at the UWA Centre for Learning Technology Jan Dook said the idea came from a student's assignment that caught the attention of SPICE and DEC.
"We had already developed an iPad app teaching resource for year seven students about feeding relationships and ecosystem set in the Kimberley region, including how cane toads affect Kimberley ecosystems and it made sense that this iPhone/iPad app would support that. "It's turned out to be not only a good educational tool for students in the Kimberley but also for the broader community and travellers to that region," Associate Professor Dook said. It's believed up to two-thirds of suspected toads are harmless native frogs. The cane toad app is available to download free from the iTunes store. Could tadpole weaponry be used against cane toads?